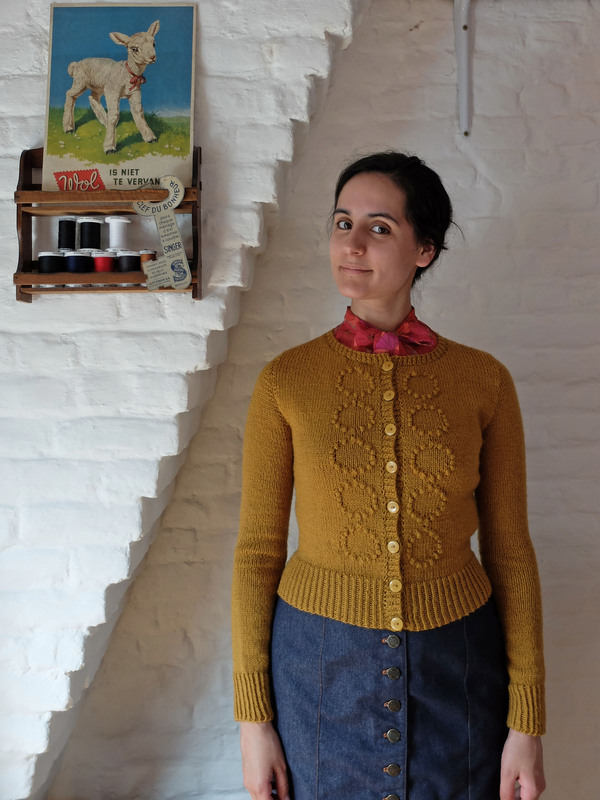 As an avid fan of cropped sweaters and cute collars, I waited for about three seconds and a half before ordering the Ondée sweater when it came out. 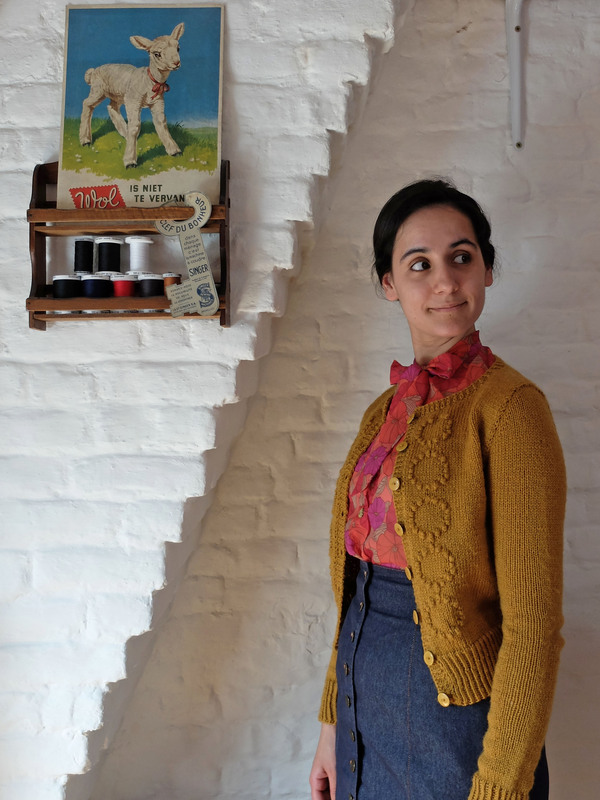 I had been eyeing the Bluegingerdoll Bonnie sweater but had never clicked on purchase, but the adorable collar of the Deer&Doe one coupled to the fact that Deer&Doe patterns usually fit me pretty well made me glad I had waited. 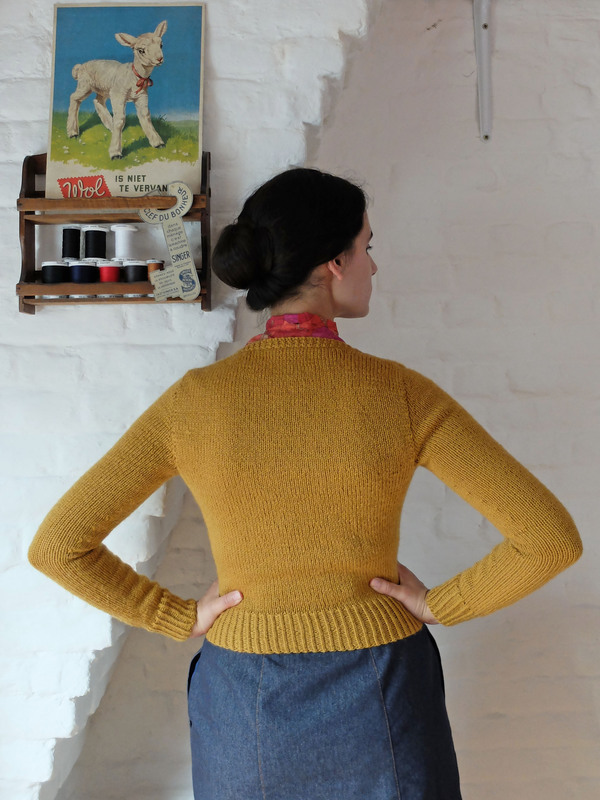 I can knit the cropped sweaters I need of course, and it’s not like I was desperately looking for something to wear with my high-waisted skirts as I’ve read was the case for so many people, but sewing a top is still a nice change from spending a month or more knitting one. And did I tell you about the adorable collar? 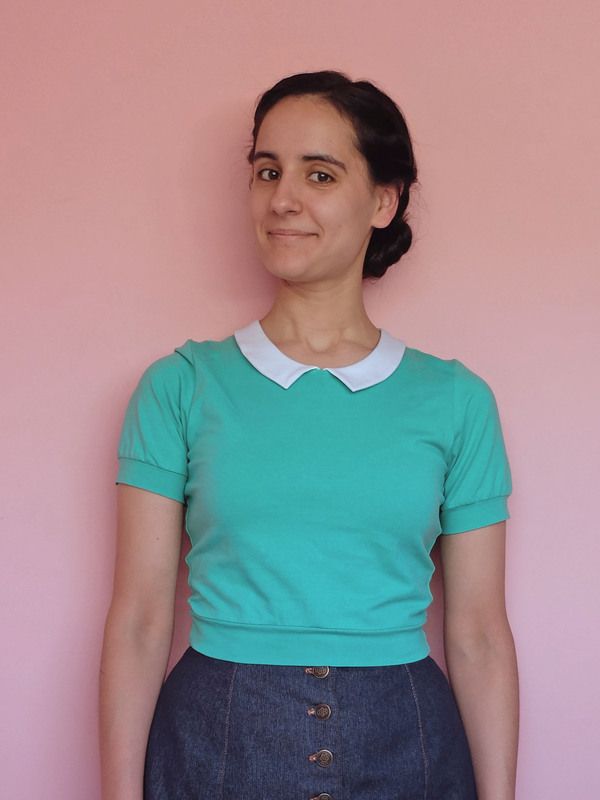 I immediately knew I wanted to use this mint cotton (with a hint of elasthane) jersey knit, and white for the collar (a crisp white collar is always a safe bet), and the result is exactly what I had hoped for, yay! The pattern was really easy to follow and fast to sew. 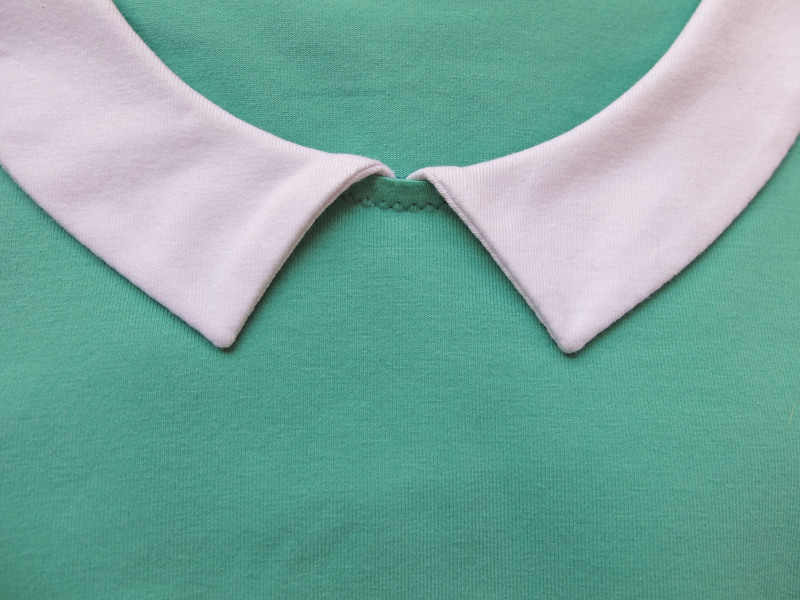 Even the collar, which I thought was going to be more difficult than a classic T-shirt collar, was a piece of cake. I used my serger for everything but the collar, and a zigzag stitch for the latter. A double needle would have been my first choice, but my machine has been acting out lately every time I’ve tried to use a double needle, so after trying in vain different tensions and needles on fabric scraps, in the end I opted for a simple zigzag stitch, which worked like a charm. 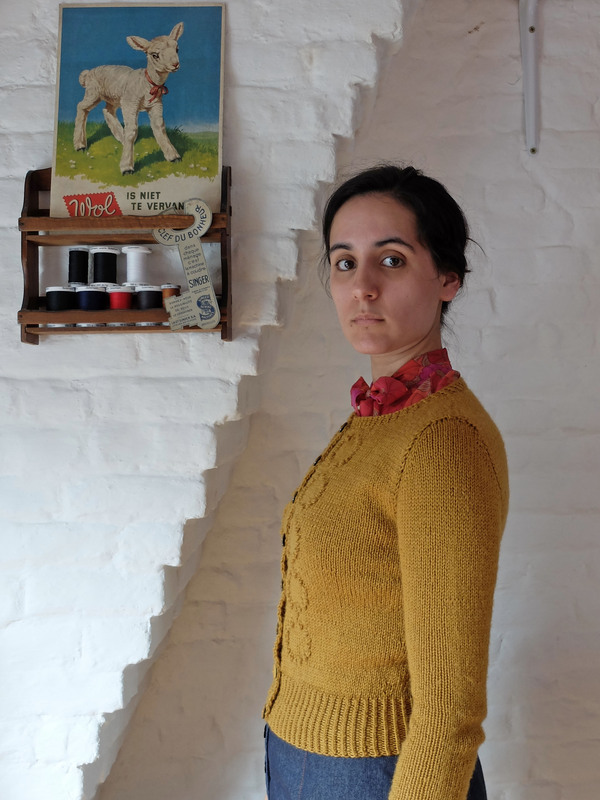 I don’t have a lot more to say about such a straightforward project, but rest assured that this won’t be the last Ondée you see on this blog! I don’t exactly remember how I stumbled upon Gasparine, I think it was via Instagram, but I do remember that I immediately fell hard for Miss Marinette. 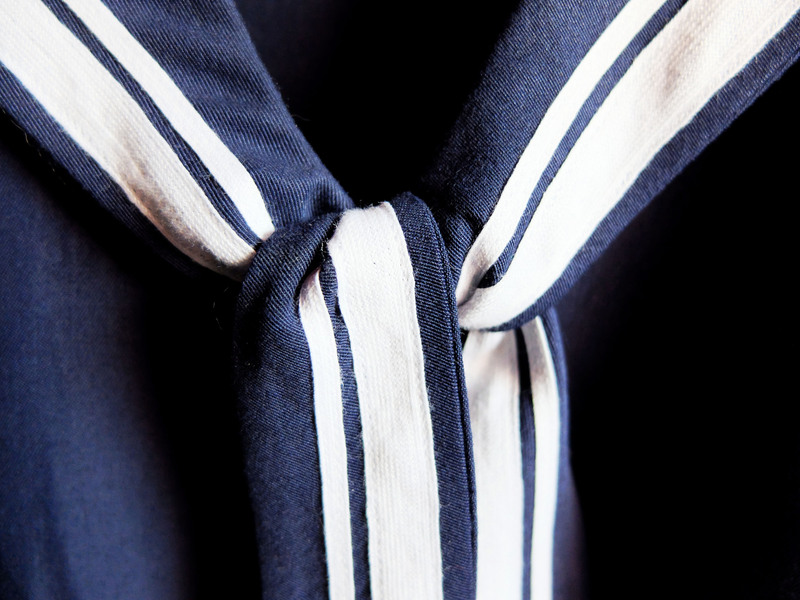 As a lover of 1920s fashion and nautical style, I could not resist its dropped waist and sailor collar and immediately ordered the pattern. There was one detail I didn’t like, the elasticated low waist: I knew there was no chance for this to look good on me and I decided to simply omit the elastic, easiest modification ever. But when I first tried the dress on, it was way too long and, well, it did not look good at all. So I unpicked the waistband and reattached the skirt directly to the bodice, and that did the trick! It’s crazy how much a few centimetres of skirt/dress length can change the way a garment looks. All in all, the pattern was really easy to sew, to the exception of the collar, but the tutorial for that part made it fairly easy, too. 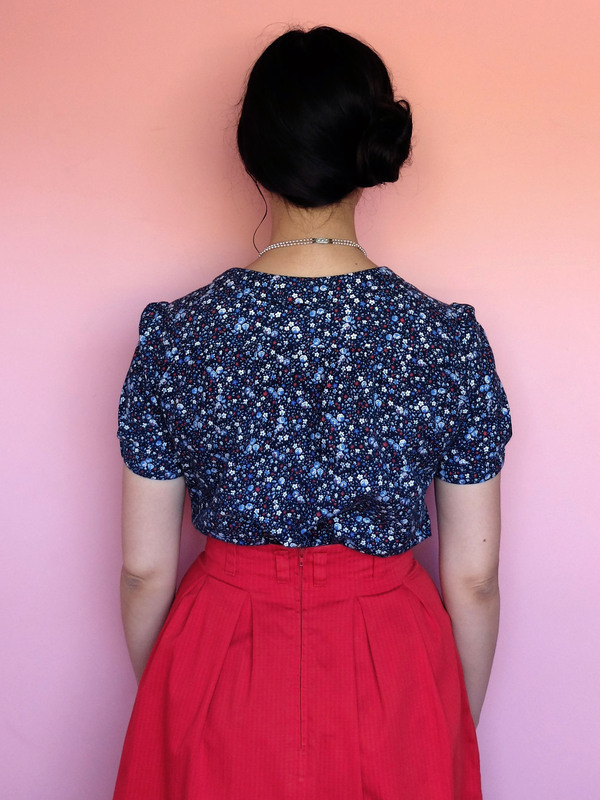 The only step I had trouble with was no part of the pattern: the cotton trim I used had a strong tendency to shrink as I was stitching it to the rayon, which made it a total pain to sew. 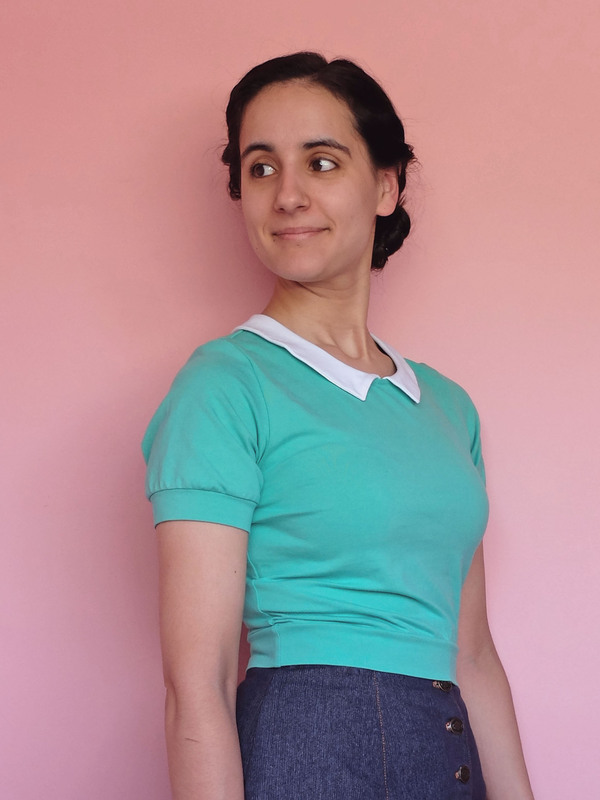 I managed to keep it under control on the skirt and sleeves, but not at the collar: it literally made the collar ties about five centimetres shorter each, argh! This made them difficult to tie, so I invisibly hand-sewed them in place. 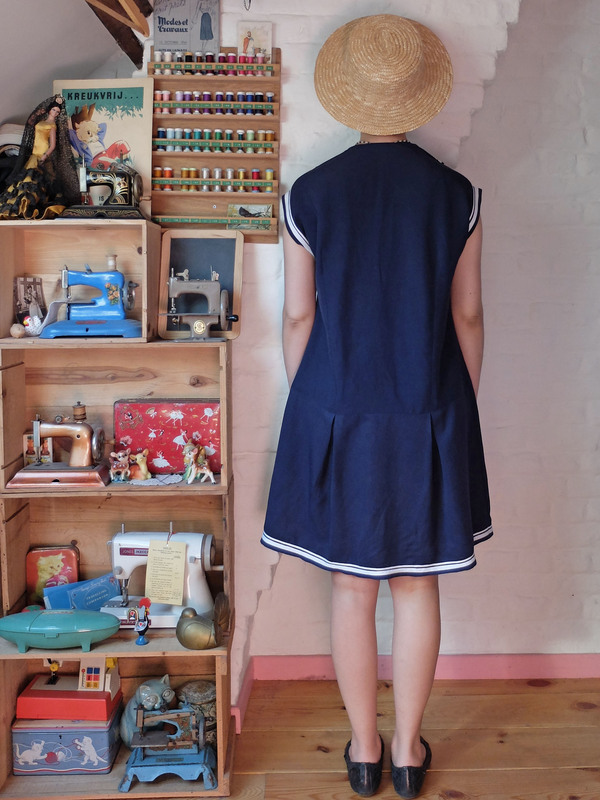 The fabric is some rayon I bought at Le Chien Vert. It’s a beautiful fabric, heavy and very fluid. Fearing that the pieces would distort as rayon is often prone to do, I stabilised not only the neckline but also all of the bodice seams with some Vlieseline Bias Tape T12 (I prefer that to staystitching). The pattern has you finish the neckline and sleeve hems with bias tape, but I did not have enough fabric to make some, nor did I want to use some stiff store-bought bias tape on such a fluid fabric, so I made a narrow neckline facing that I topstitched in place (leaving about two centimetres free, that couldn’t be reached by machine, under the collar on each side of the shoulders), and I serged and turned the sleeve hems. I also replaced the skirt gathers with pleats (four pleats, one under each bodice dart), because I had made such pleats on this dress and loved the effect. 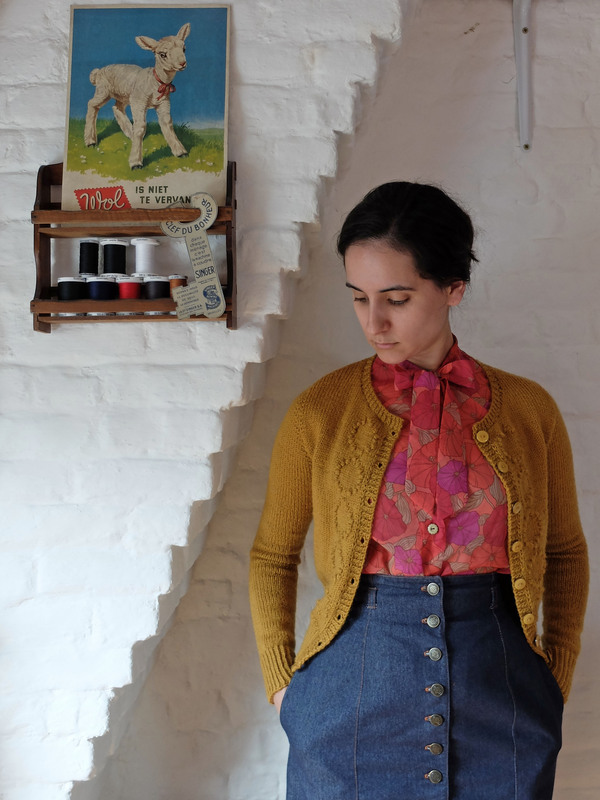 Out of my backlog of garments to be blogged, this blouse is a definite favourite! 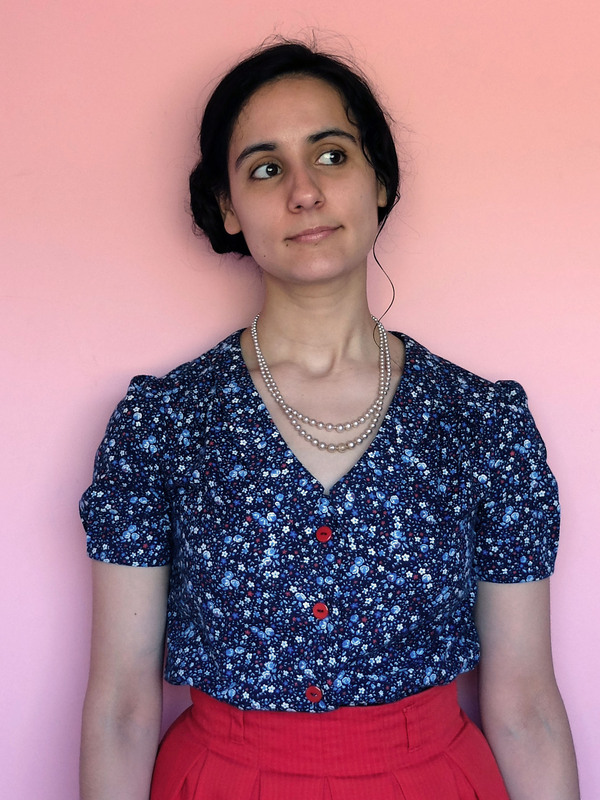 Before I forget, sorry about the print, you can’t make out any details in the pictures because of it… But I promise, the cute collar is there and so are the lovely sleeve pleats! 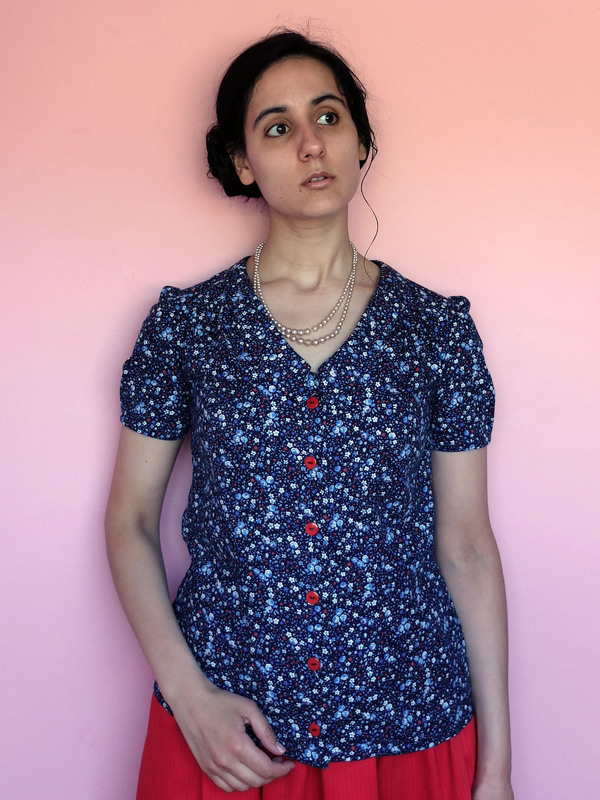 The pattern is Tilly’s Mimi Blouse, which I had been meaning to sew ever since I first saw it. 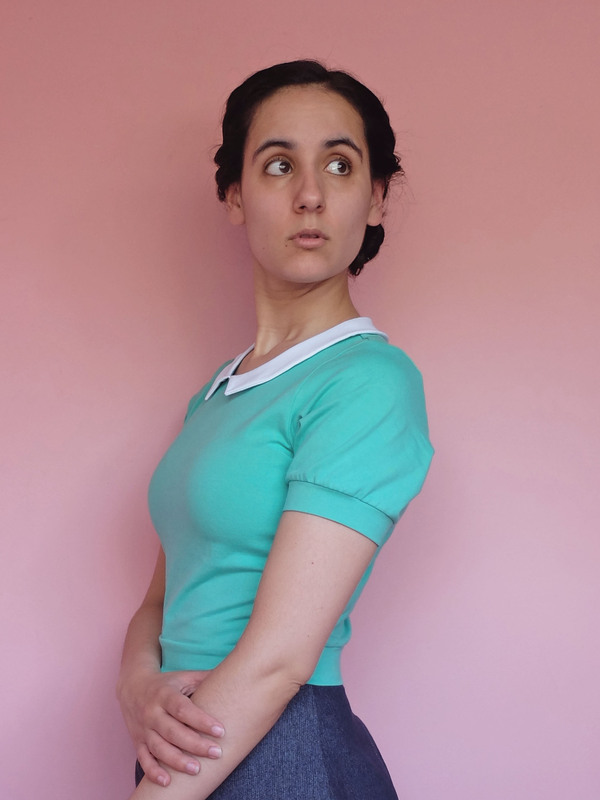 I even had the perfect fabric in mind, a gorgeous vintage pink rayon, but it was too precious to risk ruining it with an ill-fitting pattern, so I decided to make a test version in a less special fabric first. Not that I don’t like the fabric I used, a very soft cotton, light but not too stiff: it’s actually pretty perfect for this blouse and I still love tiny flower prints and could wear some every day; it’s just less unique and irreplaceable than the vintage rayon. 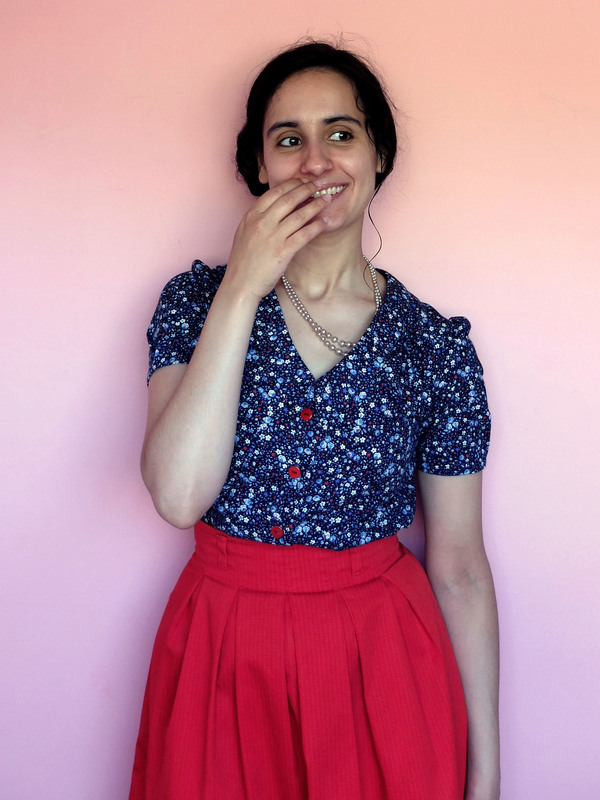 Even as a test, unless it was a muslin destined to be ripped apart (yeah, like I ever make those…), I wouldn’t waste my sewing time and energy with a fabric I didn’t truly like and want to wear. 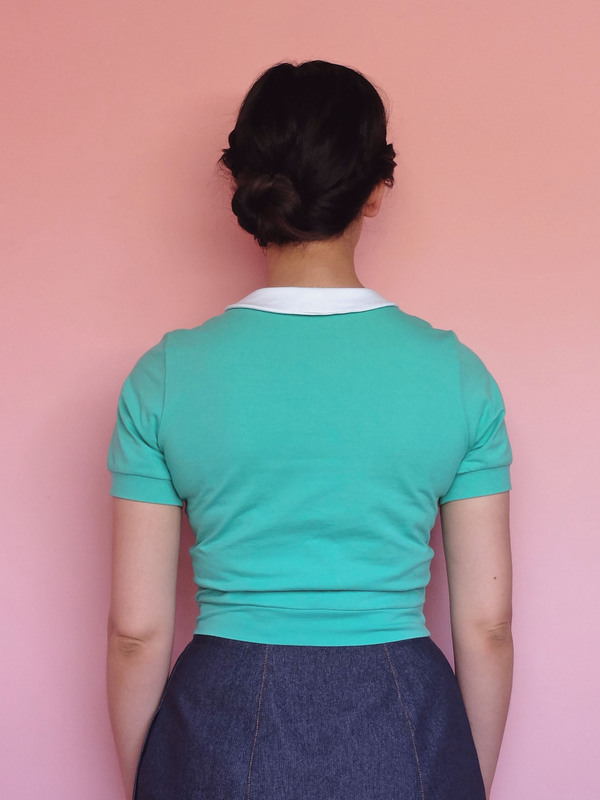 All the seams are French seams, and the facing and sleeve hem edges are finished with a narrow bias tape. I like pretty insides so much! And since this was supposed to be a test version, I wanted to be able to give it away in case it didn’t fit without being ashamed of subpar finishing techniques. Luckily, the test was conclusive, so the pretty insides are for me! 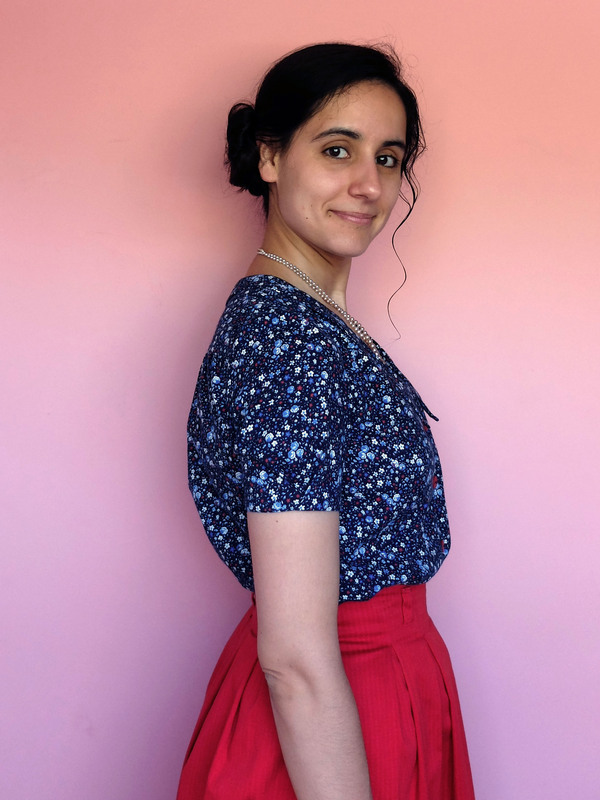 I’ve been loving wearing this blouse with my red Chardon and navy Hetty every time the weather has allowed it. 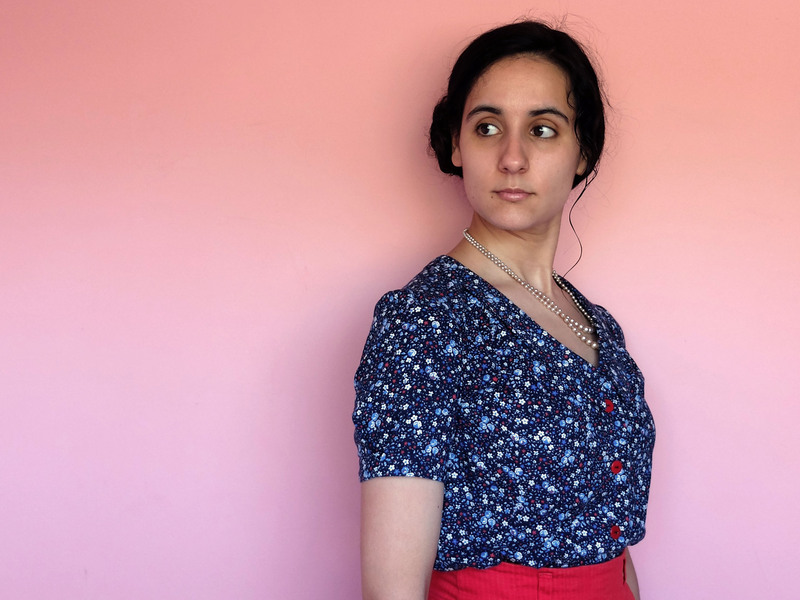 I took a picture of the blouse untucked for documentary purposes, but I don’t think I’ll ever wear it that way, at least not with that kind of high-waisted skirt. 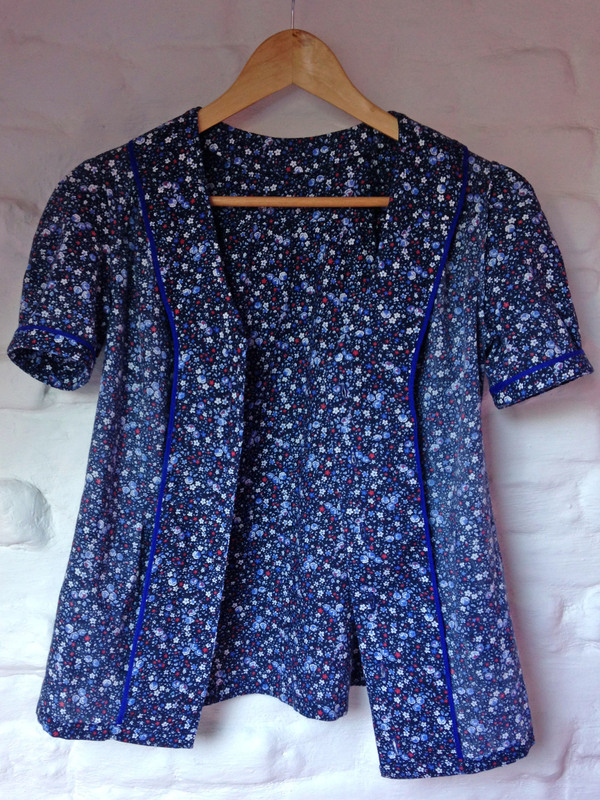 I might wear it untucked with trousers or shorts though, if I had any… What the heck is still keeping me from sewing myself some trousers, that is the question!